Postage and packaging are included in the price! 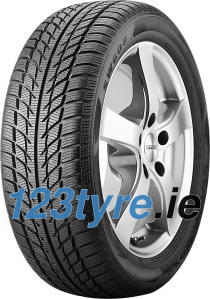 Speed Index: H: this tyre is approved for speeds up to 130 mph/210 km/h allowed. V-shaped tread design works with high drainage groove to drain snow, slush and water quickly. Optimized direction of sipes maximize the tyres contact with the road surface and delivers outstanding traction and control in all winter driving conditions. Special winter tread compound offers performance driving. 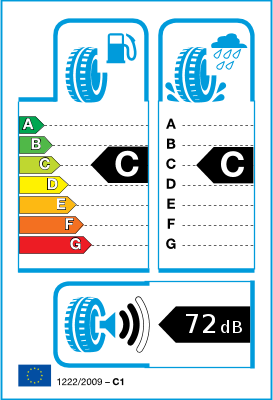 The European Union, under CE 1222/2009, has mandated that all tyres manufactured after the date of July 1 2012 for cars and commercial vehicles include standard EU Tyre Labels classifying them by three performance characteristics:fuel efficiency classified from A to G, wet grip classified from A to G, and noise emission in decibels.